On June 5, agents from the United States Immigration and Customs Enforcement (ICE) agency arrested more than 100 workers at two locations of Corso’s Flower and Garden Center in Castalia and Sandusky, Ohio. According to the Washington Post, 114 workers were arrested on suspicion of being in the U.S. illegally. Khaalid Walls, spokesman for ICE’s Northeastern region, told the Associated Press the workers that were arrested would be charged with identity theft and tax evasion. Cleveland TV station WKYC reported that the arrested workers were loaded onto buses and taken to two detention facilities in Ohio and one in Michigan. News reports say the raid is the result of an ongoing investigation of suspected of operating a document mill. According to authorities, Martha Buendia-Chavarria was indicted for possessing false identity records with intent to transfer them. The Marion Star reported that those documents eventually ended up in the hands of some of those employees arrested at Corso’s. According to ICE’s Detroit office, officials reviewed the records of 313 employees and 123 were found to be suspicious. No charges have been filed against Corso’s but officials say the company remains under investigation. After the raid, AmericanHort released a position statement regarding the recent Immigration and Customs Enforcement (ICE) raid on Corso’s Flower and Garden Center in Ohio. This statement can be found at AmericanHort.org/Position. “AmericanHort remains committed to helping our members deal with this challenge and we will continue to advocate for fixing this badly broken immigration system and work visa programs.” shared Craig Regelbrugge, Senior Vice President Industry Advocacy and Research for AmericanHort. 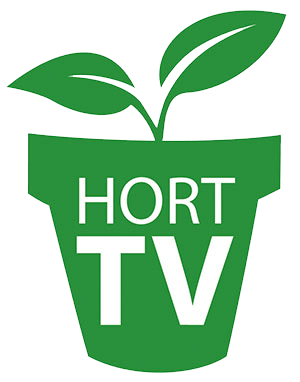 “We strongly encourage members of AmericanHort to review our Immigration and Custom Enforcement Audit and Enforcement Guidance Document available to all members in our online Knowledge Center.” said Ken Fisher, president and CEO of AmericanHort. This document provides an overview of recent history and a discussion on general immigration compliance advice to help businesses deal with ICE requests. “We can’t emphasize enough our commitment to helping our members with this challenge,” Fisher said.